Oregon Business - Will automation really kill jobs on the Oregon Coast? Techno-optimists and techo-pessimists square off on automation and the future of the coastal economy. At the Oregon Leadership Summit this month, futurists warned the audience that when the robots come for our jobs, they’re heading straight to the Oregon Coast. Panelists cited a recent ECONorthwest and Portland Business Alliance report stating that automation jeopardizes 144,200 Oregon food service and hospitality jobs. The study predicted mechanization will hit the tourism-centric coast harder than other regions in the state. Along the North coast, 58.7% of jobs face “high risk of automation," the report authors wrote; 59.5% along the South Coast. Portland, with its higher proportion of creative services and professional jobs, the report noted, will be safer. Regional economic development directors took issue with the study, saying it doesn’t reflect job market trends on the coast. The two diverging views of the coastal economy reflect a larger debate between so-called techno-optimists, who believe the accelerating pace of technology will force rapid changes, and techno-pessimists, who believe the revolution will come more gradually. Coast leaders say workers in their region have already adjusted to the effects of automation. Entry-level hospitality, food service and tourism jobs, like hotel booking, have already been automated. “Automation in the fast food places has already started so we are all accustomed to that now,” says Eileen Ophus, executive director of the CCD Business Development Corporation, an economic development agency in Coos Bay. Economic development directors painted a portrait of the local economy that looks nothing like what’s depicted in the ECONorthwest study — they are worried about having too many job openings, not too few. While the report predicted 93% of food preparation and serving jobs are at “high risk” of automation, Bauman says the coast, with around half its population over the age of 50, faces a “dire shortage” of workers in construction and culinary occupations. The coast is seeing increasing demand for people in the hospitality industry. Luxury hotels, seeking to personalize the guest experience, are adding more chefs, brewers and other jobs. The methodology for the report stems from a 2013 study, in which two Oxford researchers assessed risk of “computerization” for more than 700 US occupations. They searched for “computerization bottlenecks,” jobs that required fine motor skills, creativity or social intelligence, and therefore would resist automation. 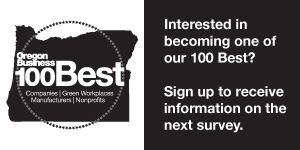 While the report labeled the coast “high risk” for its high proportion of food service and hospitality jobs, Ophus notes several coastal counties have large contingents of workers in education and health services (27% in Coos County, 23% in Curry County, and 24% in Douglas County), a sector more resistant to automation. With its heavy retired population and influx of boomers, Bauman says, the coast’s population will likely resist full automation for the near future.